Acupuncture is a branch of Chinese Medicine that originated about 2000 years ago. 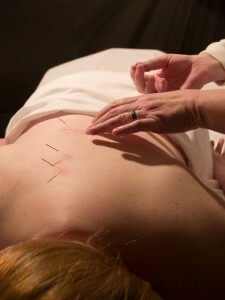 Acupuncture is most popular for alleviating pain. It can also be used to help many other conditions. Acupuncture can activate and improve the function of the digestive system, nervous system, musculoskeletal system, and endocrine system. Chinese medicine recognizes a universal life energy called “Qi” (or Chi) that circulates throughout the body along pathways called “meridians” or “channels”. When this energy flows freely, we experience good health. If energy flow is blocked, pain and illness can occur. Acupuncture uses fine needles to stimulate meridian points on the body to free up the Qi energy and restore normal function and balance to the body.